Food It Yourself Garden 2017 Wrap-Up | Food It Yourself! What a strange, productive, surprising year we had with the Food It Yourself garden. The weather was even more irrational than usual for New England. October is still trying to convince us it is July, in fact. Nevertheless, this week I took down the garden. The remaining tomatoes were starting to taste swampy, the zucchini and pumpkin vines were looking a little moldy, and October 14th was Yard Waste Drop Off day in our town. What was the final consensus on garden season 2017? First the bad stuff, then the good stuff, then a bunch of pictures. The summer was unusually cool so it took a really long time for the plum and globe tomatoes to ripen. I was not the only one who had this problem. Every garden-growing friend I spoke with (and a few strangers in the grocery line, even) said the lack of heat was slowing tomato season down. Not too much we could do about that. We have rabbits living under our garage. This is the first year the rabbits realized we grow tasty, tasty things. My second and third crops of string beans as well as my second crop of carrots got nibbled away to nothing. They also got more of my greens than I did. The most maddening thing is that there is a large red-tail hawk that hangs out in the trees around our yard. Did the hawk eat the rabbits? No, the hawk did not. Lazy hawk. Next year I will have to get creative with chicken wire and marigolds. The biggest problem was overcrowding. The tomatoes were much too close together which allowed slugs to dine on a huge number of my plum tomatoes, even in full sun. They crowded out and shaded the basil and peppers I planted around them. The zucchini actually choked my sage plant and one of my thyme plants. On the plus side, this is a problem I can control next year. On the other hand, we planted our sweetcorn too far apart and they yielded only tiny, incompletely formed ears. The corn was tasty though and the plants were healthy. We will probably try again next year but plant earlier and in a clump rather than in rows. We hardly had to water the garden this year, due to the rainy spring and early summer. This was such a welcome change from last year. I can tolerate a few mushrooms in the lawn if it means the water table is back to normal. 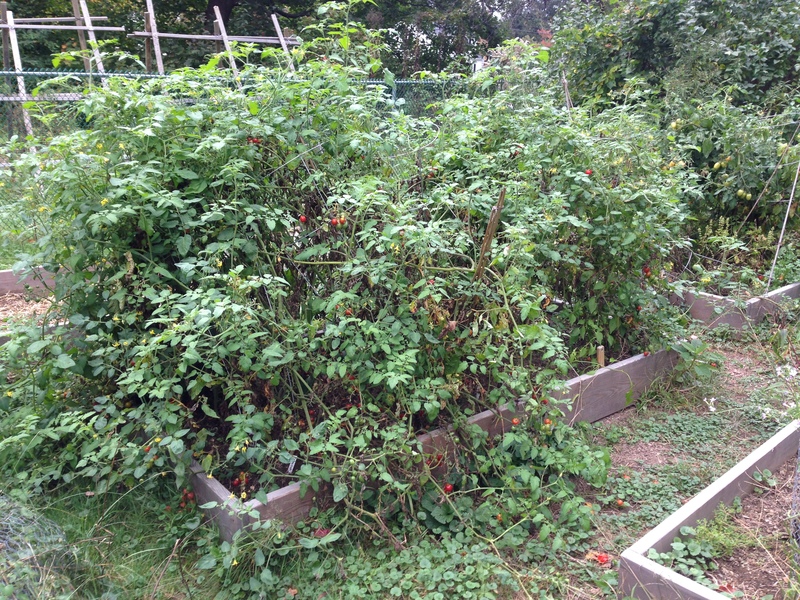 Despite being crowded together, we got a really good crop of tomatoes. We got cherry tomatoes all season long. We made two batches of salsa, several batches of tomato concentrate, and still had a good supply for snacking on. We got enough Romas and lemon boys for two batches of ketchup, plus I should have enough for a freezer-worthy batch of sauce. Imagine if we had not been inundated with slugs! The basil, as I noted did not fare well, but the parsley was amazing this year. I have been systematically cutting bunches and putting them in my dehydrator. I am admittedly smug that a good number of my Homburg Rooted Parsley seeds turned into productive plants. I have always read that parsley is hard to grow from seed, but it worked for us this year. We had an amazing year for strawberries, cherries, and raspberries. I have a cabinet full of jam to prove it. Our chickens are super fantastic. We are getting fewer eggs now that there is less daylight, but “the ladies” are very happy and are a joy to watch. This is what my cherry tomatoes looked like. As you can clearly see they are very,very, overcrowded. 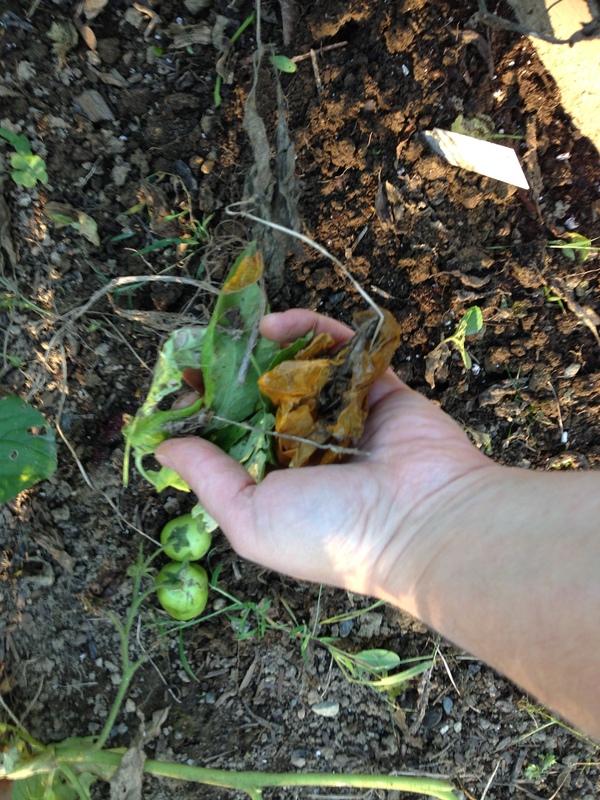 I very carefully picked up as many leaves from the tomato plants as I could. A few had suspicious looking eggs on them. I certainly do not want those hatching in my yard next year. All the vines that I pulled went into paper yard waste bags and are now decomposing in my town’s yard waste drop off site. 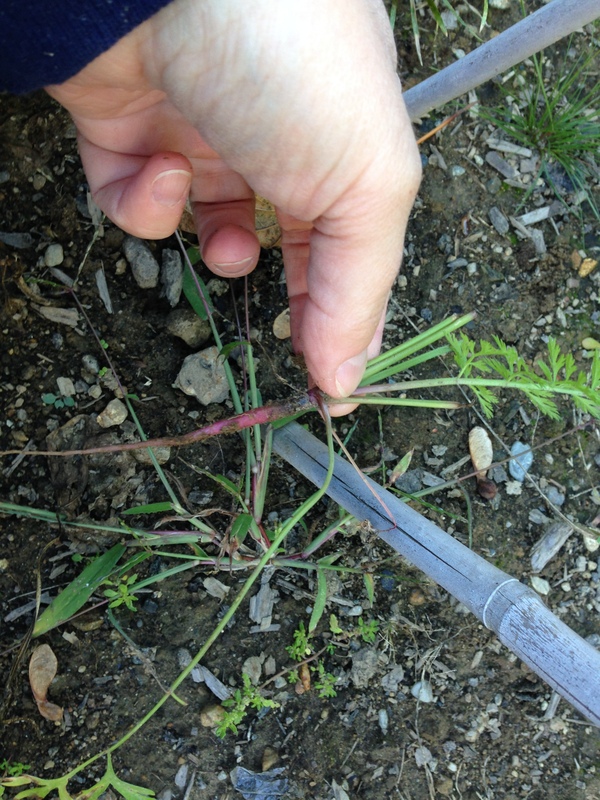 Because the rabbits ate the leaves the roots of my carrots did not grow. A few string bean plants were spared by the rabbit. 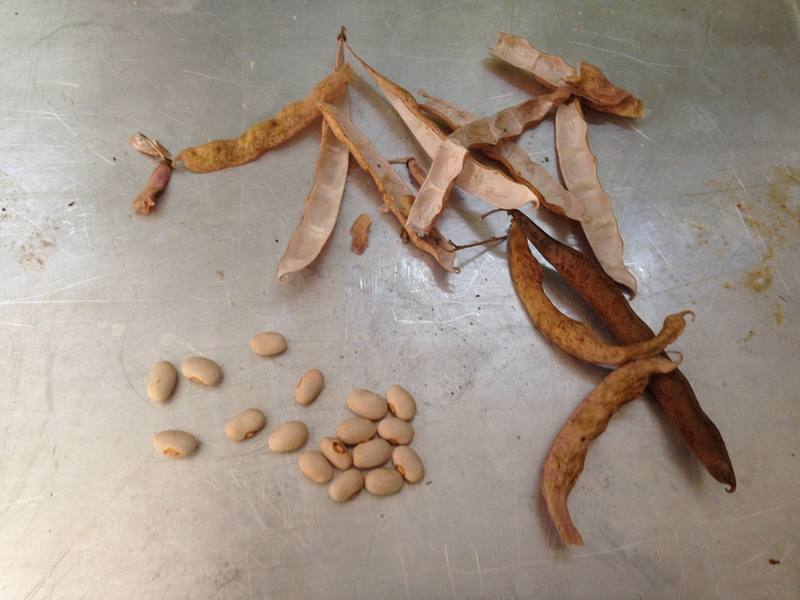 I let the pods dry on those plants and saved the seeds. Maybe they are rabbit-resistant? We shall see what happens when I plant them next year. 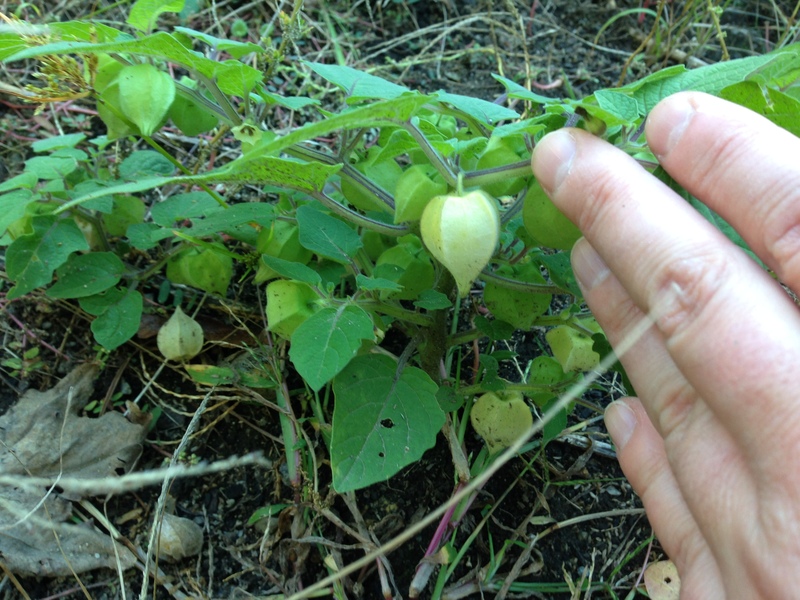 I thought my ground cherries were a total loss, then I almost stepped on one! There are about half a dozen plants and the fruits are just starting to ripen. They taste like a mix of apple, cherry and vanilla. I am growing these again next year, but I’ll start them inside in April so I can actually enjoy the berries. Good thing I had help turning over the raised beds after I took out the plants. The high slug population may have been a motivating factor for my assistants. This was a wonderful year for the Food It Yourself garden. 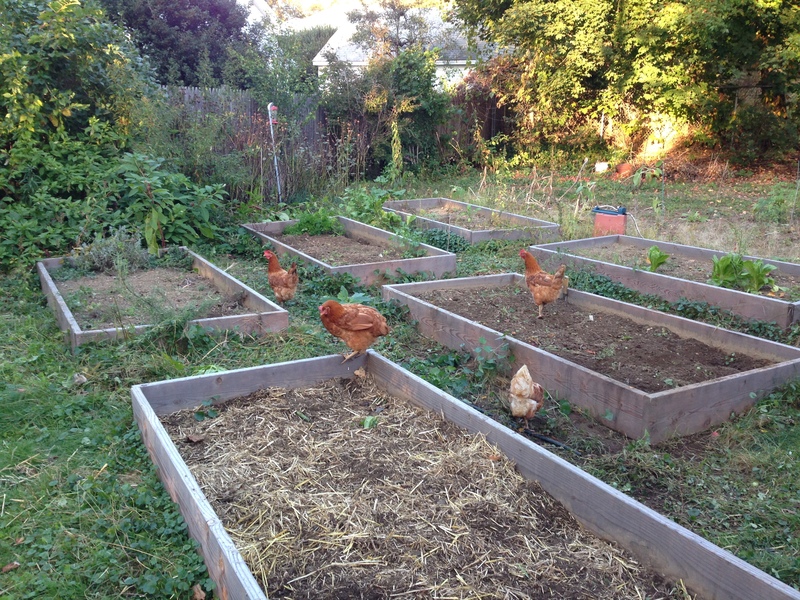 Our raised bed system is working well. We might have to add a few more beds next year so I am less tempted to squeeze too much in. How did your garden do this year? Share in the comments! ← New to Me- Delectable Delicata!